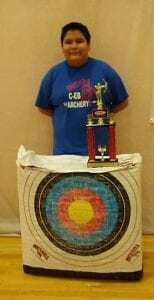 Archers from Cheyenne River competed at the NASP Bullseye Archery State Tournament at East Middle School in Rapid City on Saturday, March 23. 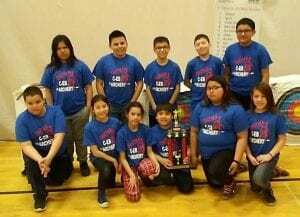 Twenty-three schools from across the state competed at the tournament in the elementary, middle, and high school categories. 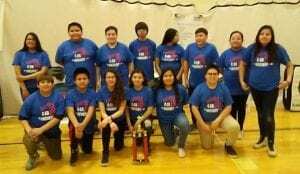 The Ohitika Archery teams took two top team awards: the middle school placed second with a score of 2455, and the elementary school placed third with a score of 2904. Placing individually was Braylee Yellow Owl, who took third in his division. Placing second in the girls category of her division was Hope Shorty, a former C-EB student, now homeschooler. The teams will compete in the State 3D tournament in Brookings this Friday.